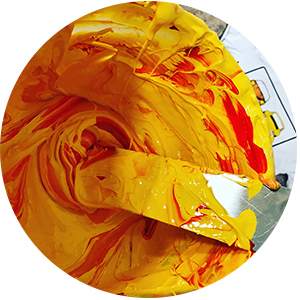 Screen Printing - What We Do | The Flippin Sweet Print Co.
Screen printing is a traditional process and involves pushing ink through a mesh stencil screen for every colour in the design. Each screen is aligned (registered) on our press to make sure all colours line up. 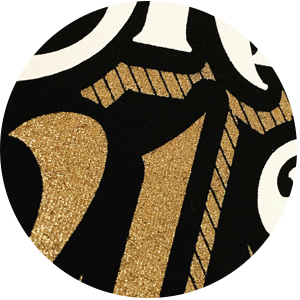 We then print each colour in sequence onto the t-shirt until the final image builds. Due to the preparation time involved in the screen printing routine this process is more suited to orders of 20pcs and upwards however we do have a low minimum of 10pcs for single colour printing mainly used to sample the print and garment. 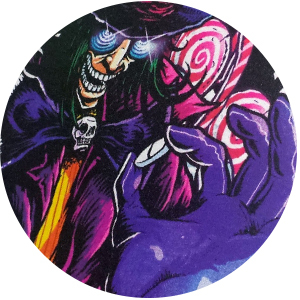 We use a 6 colour carousel and manually hand print your garments using a variation of waterbased, traditional plastisol and specialty printing inks to create soft vibrant printed textile garments. We screen print because we love it! 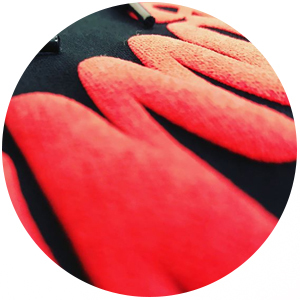 We are passionate about screen printing and put a lot of care and attention into producing the best quality, soft and vibrant print possible. 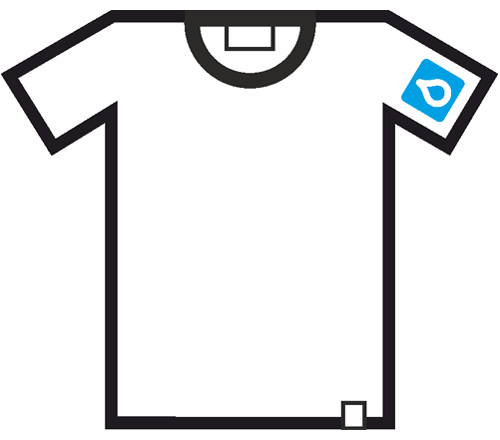 Low minimum of 10 shirts for single colour printing. 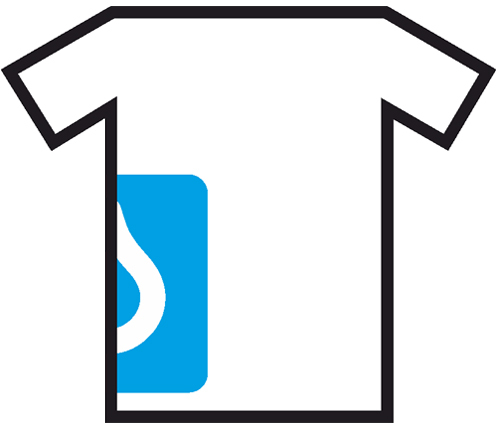 Two – Six colour printing has a Low minimum of 20 shirts. Everything you need from screen printed neck, hem tags and poly bagging so your t-shirts are retail ready. 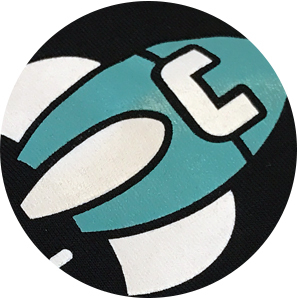 Screen printing t-shirts involves a lengthy setup process in which for every colour in your artwork, we create a screen and line up on press. Each colour is printed one at a time. Screen setup is charged at £15 per screen/colour. We appreciate the value of a good soft quality print without compromise on vibrant colours. Which is why we have worked tirelessly over the years honing our craft, striving to produce the best quality print possible. 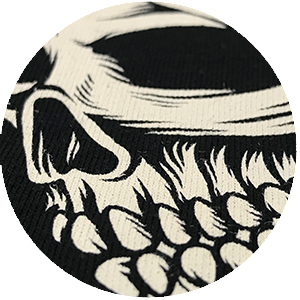 Using a range of inks and screen print techniques we aim to use the ink option most suitable to produce the best results on the particular garment we are printing for you. We also understand the value of minimizing the effect our printing has on the Earth. This is why we make significant efforts to keep our inks as Eco friendly as possible. Not only do our inks look and feel great, they contain no phalates or plasticizers which also allows the use of Eco Friendly cleaning solutions. As an example of our efforts we recently switched out our aerosol pallet adhesives to a waterbased alternative which not only helps the planet, it helps our lungs too! 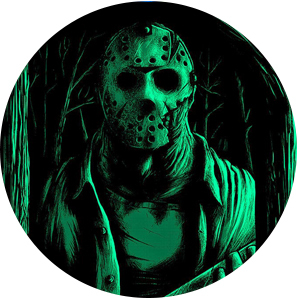 Waterbased inks have a very soft hand and lightweight finish. 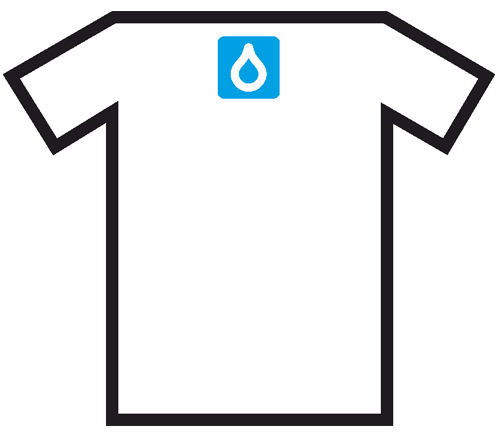 These inks were previously reserved for white/light garments but with the advancement in the ink industry over recent years we can use high solid waterbased ink to achieve opaque whites and with an underbase vibrant colour prints on to dark garments. 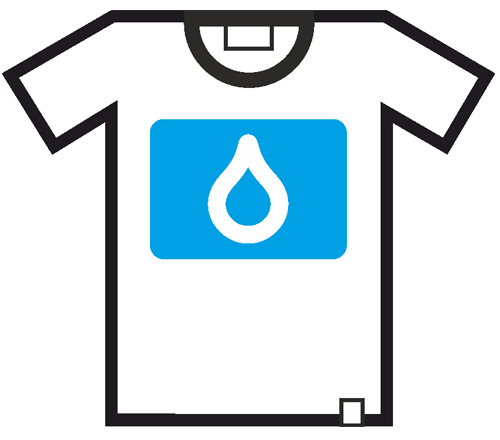 Waterbased is best suited for 100% cotton garments and is the most eco friendly of inks. 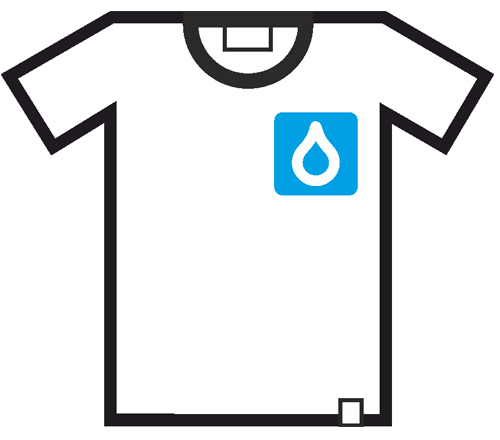 Plastisol is a traditional t-shirt screen print ink that revolutionised the industry in the early 60s. 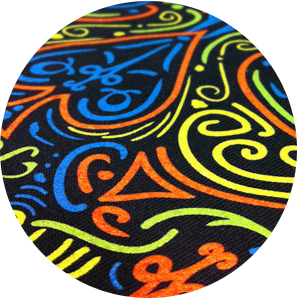 The inks are very versatile and can be used to print on to a wide range of garment materials and colours light or dark. The inks are opaque, vibrant and long lasting. While not the lightest or softest ink, some prefer the slightly more substantial and light rubbery characteristics of a plastisol print. LOOKING FOR SOMETHING A LITTLE EXTRA BLING? 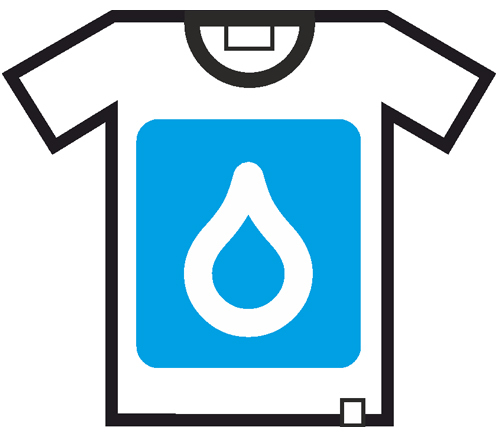 Discharge removes the dye from your garment revealing a cotton soft print. Added to plastisol once cured the ink expands to give a puffy, raised print.